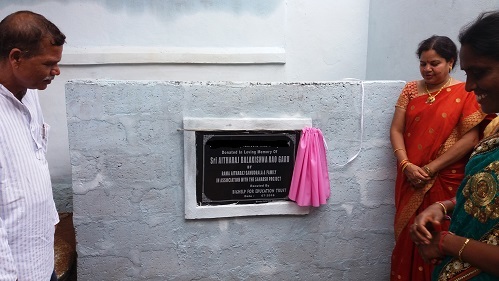 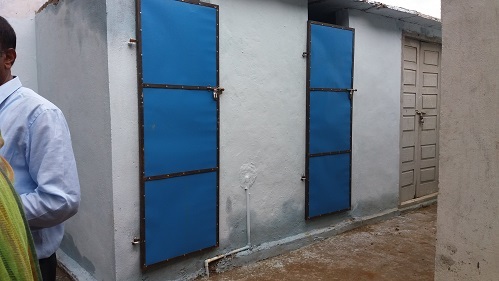 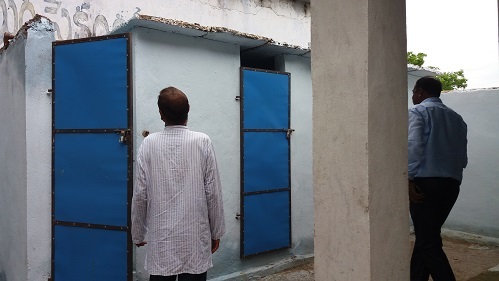 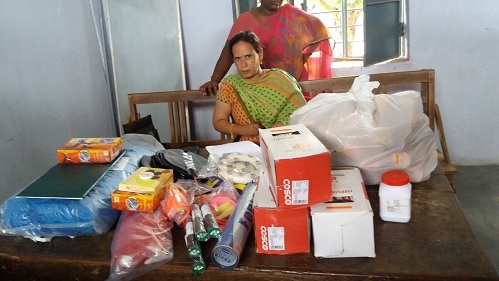 Bighelp provided Urinals, sports material, Furniture for school staff and Compound wall repairs to Zilla Praja Parishad secondary School Dharmasagar (Boys) located at Dharmasagar village, Warangal district. 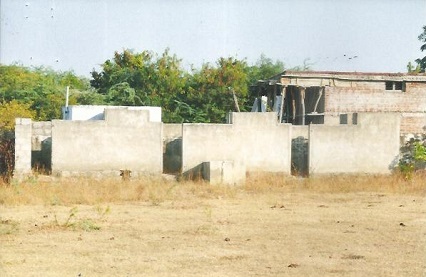 The construction of compound wall was necessitated to prevent dumping of garbage and rubbish by neighbouring people. 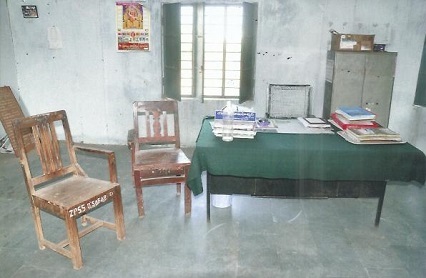 illa Praja Parishad Secondary School Dharmasagar (Boys) is situated in Dharmasagar village and it was established in 1956. 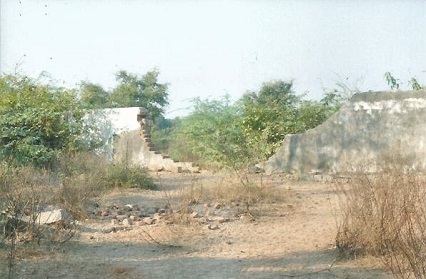 Students from nearby villages namely Kythampalli, Dernoor, Tekulagudem, Repakapally, Elukurthy, Ramannagudem and Somadevarapally are educating themselves from this school. 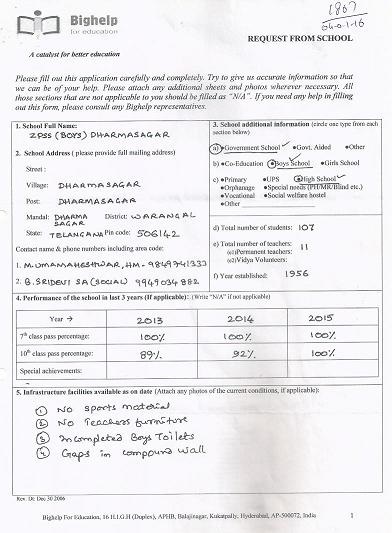 It is Boys high school with present strength of 107 students and 11 teachers.